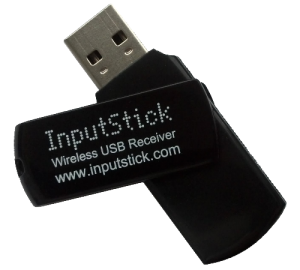 InputStick is a wireless USB receiver, that turns your Android or iOS device into wireless USB keyboard and mouse. It allows to send keyboard and mouse actions directly to your PC (or any other USB host). The PC will not notice any difference between InputStick and "real" USB keyboard. You can use InputStick to remotely control PCs, type passwords or use it in your own application.